Two down, one more to go. 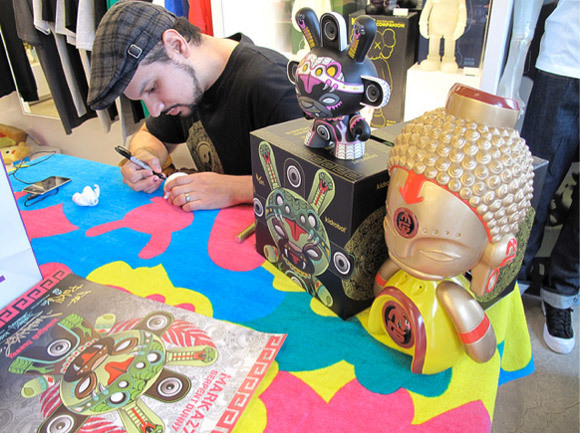 Marka27 and his Shadow Serpent Dunny signing tour made it’s way through Kidrobot Los Angeles last night. Tonight, Marka will be signing from 6-8pm at Kidrobot San Francisco. Don’t forget first 50 fans will get the awesome exclusive poster for FREE!